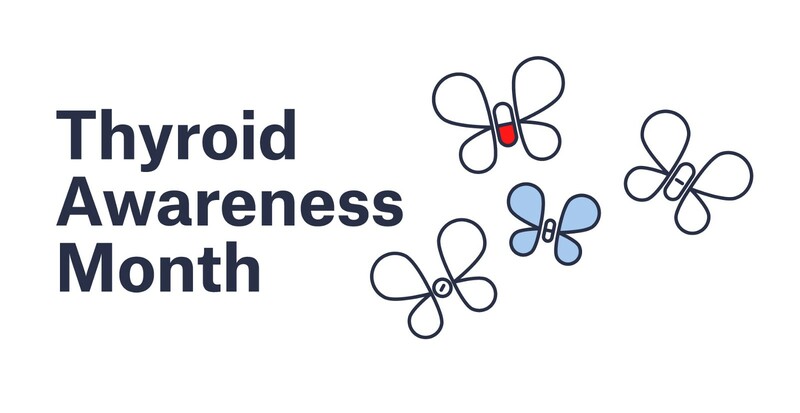 January is Thyroid Awareness Month! That makes the beginning of the year a great time to check in on your thyroid knowledge, and your thyroid health. The thyroid is a butterfly-shaped gland located in your neck that produces thyroid hormones. Thyroid hormones impact your metabolism, or the rate at which your body burns energy. Thyroid disorders are more common in women than men. The most common thyroid condition is hypothyroidism, where your thyroid doesn’t make enough thyroid hormones. 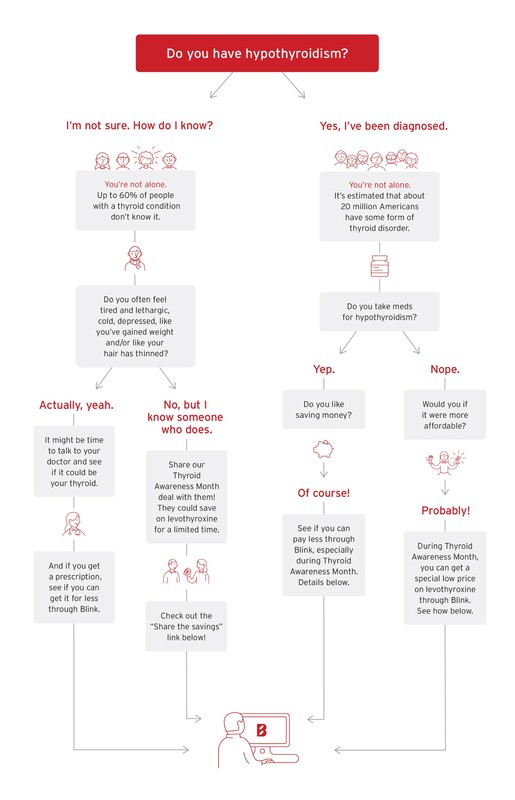 Your risk of hypothyroidism goes up if you’re: female, 60+ years old, have a family history of the disease, have type 1 diabetes or celiac disease, and/or have been pregnant in the last six months. Most thyroid disorders are lifelong conditions, but can be managed with medical care. Proper treatment can help your thyroid levels return to normal. To help spread the word about thyroid health and to make sure people who need thyroid meds can afford them, we’re offering levothyroxine (generic Synthroid) for just $1.99, from January 16 — February 16th. Share the deal on Facebook to let others who might benefit from saving money on levothyroxine know about this limited-time deal. Claim the deal for yourself by using this link. Savings on retail prices without coverage. Blink Health is not insurance. The discount prescription drug provider is Blink Health Administration, LLC, 233 Spring Street, 8th Floor East, New York, NY 10013, (844) 366–2211, www.blinkhealth.com. See website for state-by-state availability.